When I was in Portugal, stuffing my face and losing my socks, I kept thinking back to the powerful chili and how its popularity began with the trade routes that shuttled between colonies of the Portuguese empire. The history of the chili pepper is one of the more interesting examples of a simple, powerful food with a complex story. Chili peppers are eaten by a quarter of the earth’s population every day, in countries all over the globe. They are perennial shrubs belonging to the Capsicum family, and were completely unknown to most of the world until Christopher Columbus made his way to the New World in 1492. 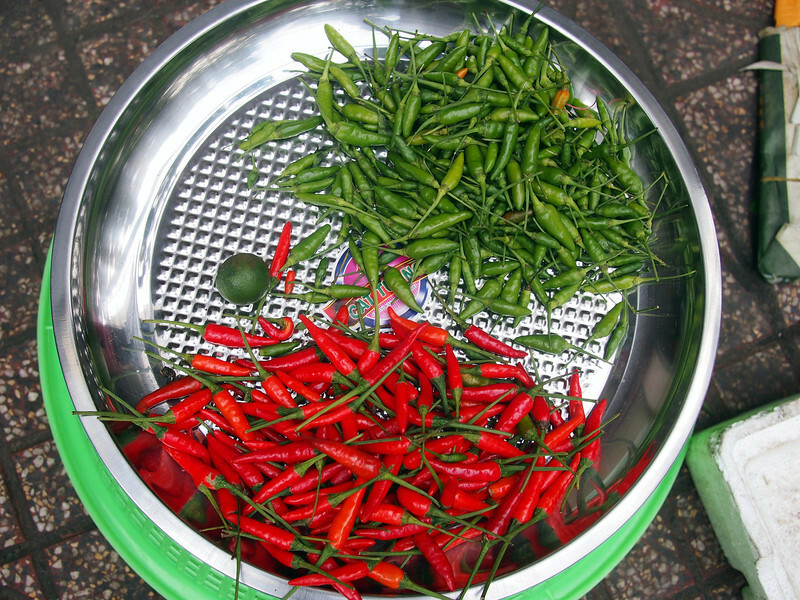 Why does eating chili peppers make your mouth burn? Before we move onto the history: a brief foray in the pain factor. The burning and pain you feel when you eat a chili pepper is caused by a compound called capsaicin. Consuming capsaicin triggers pain receptors in the body to send out a warning to you that you’ve potentially done something a little dangerous. The active ingredient in chili peppers is a compound called capsaicin. When ingested, capsaicin triggers pain receptors whose normal evolutionary purpose is to alert the body to dangerous physical heat. In humans, this is triggered via the same mechanism that helps us drop a hot pan if we forget oven mits: the temperature sensation receptor TRPV1. The working theory is that eating chilies gives us the same sensation as if we were to actually eat too-hot bite of food, hence the burn. The TRPV1 receptor signalling may make us feel like perhaps our mouths are on actual fire, but scientists say there isn’t any tissue damage. It’s a brain hiccup: via those pain receptors, our brain is tricked into thinking our tongue is on fire. Perhaps we seek out the painful experience of snacking on chillies while consciously maintaining awareness that there is no real danger to ourselves. After all, people seem to enjoy – and actively seek out – many other sensations that are otherwise undesirable but are ostensibly safe: the sensation of falling provided by rollercoasters or skydiving, the feelings of fear and anxiety while watching horror movies, the physical pain experienced upon jumping into icy water, or even the feelings of sadness that come while watching a tear-jerker. Over the years, scientists have theorized that the evolutionary reason chilies burn is to dissuade mammals from eating them. In “The Complicated Evolution of the Spicy Chili Pepper” Harvard’s Cat Adams notes that scientists found that while certain mammals avoid spicy plants, birds do not, attributing this finding to the fact that birds lack the receptor to feel the “capsaicin burn,” whereas mammals have them just like we do. So birds won’t feel any feel pain from eating even the spiciest of chilies, allowing their seeds to flourish. In contrast, if mammals like cactus mice snacked on the chili plants, they ground up all the seeds in their teeth. Not good for continuation of the plant. So it makes sense, then, that the capsaicin would be an active deterrent for mammals — except us crazy humans who love them — and not for birds. Regardless, we can’t deny the pain. From weapons to the much less innocuous sobbing-while-eating-Sichuan-food, eating chilies isn’t for everyone. Unlike most foods humans are accustomed to eating, the chili pepper causes actual pain when ingested. That pain, scientists believe, is an artifact of evolution. When capsaicin comes in contact with nerve endings it trips a pain receptor whose normal function is to detect the kind of heat that is legitimately burning hot. 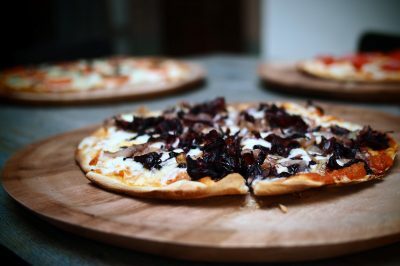 The receptor, known as TRPV1, is designed to keep us from doing dumb things like picking up a burning branch with our bare hands, or biting into something so hot it would physically damage our mouths. Of course, Columbus wasn’t looking for chilies. As many of us have learned in our high school history classes, Columbus was seeking a new trade route to Asia, hankering for black peppercorns. The peppercorns were known as “black gold” because of their value as a commodity, often used to pay rent or salaries. Until well after the Middle Ages, almost all of the world’s pepper travelled from the Malabar Coast, in India. From there it was traded via the Levant and the merchants of Venice to the rest of Europe — that is, until the Ottoman empire cut off the trade route in the mid 1400s. Without access to the old routes, European explorers set out in search of new riches for their crowns and new routes to those precious spices, including cloves, mace, and nutmeg from Indonesia’s Molucca Islands. As we know, Columbus didn’t find black peppercorns or a spice route to Asia. Nonetheless, he named Caribbean islands the “Indies” and the indigenous population “Indians’. He also called the spicy plant he plucked from the shores of what is now the Dominican Republic and Haiti a confusing pimiento, after the black pepper (pimenta) that he so desperately sought. This pimiento, known locally as aji, was brought back for show and tell to the Iberian Peninsula, along with many other new foods that would become commonplace in the Old World. By the time Columbus made it to the New World, chili peppers were already fully domesticated by the native population. 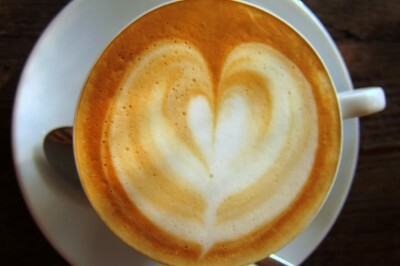 They originated in Mesoamerica, the region that extends from Central Mexico to Central America and northern Costa Rica. Archaeologists trace their gradual domestication back to 5000 BC, in the Tehuacán valley of Mexico — meaning that Columbus was a little late to the game. Early reports from conquistadors cited a large presence of chilies in Aztec and Mayan traditions, used not only to flavour food but also to fumigate houses and to help cure illness. 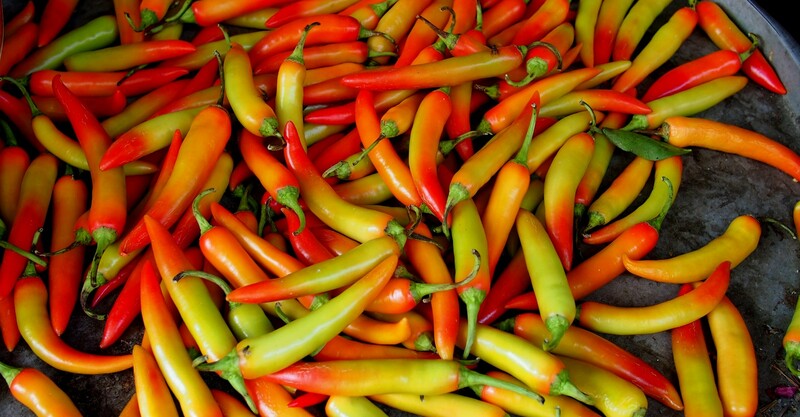 The “chili” in chili pepper is derived from Nahuatl, an Aztec language. (Source). So Columbus is responsible for their proliferation in the rest of the world? Her reasoning includes the fact that the Portuguese brought a specific type of Mexican-derived pepper (C.Annuum var. annuum) rather than the South American pepper that Columbus called pimiento and transported to Spain, the C.chinense pepper. In addition, the Spanish trade with the New World in the first part of the 16th century was quite limited compared to the Portuguese, who secretly traded in the New World despite the Treaty of the Tordesillas assigning most of the region to Spain in 1494. And then there was Portuguese explorer Vasco de Gama who discovered a route from South America around the Cape of Good Hope to Africa and India in 1498, setting a path for the chili pepper to leave the Brazilian colony and fan out to the world. In 1510, Goa fell to the Portuguese under the leadership of Afonzo de Albuquerque. Located in the spice-rich Malabar Coast, the strategic city established increased Portuguese control over the spice trade. Per Andrews, a Portuguese official in India from 1500-1516 reported that the new spice of chili peppers was welcomed by Indian cooks who, accustomed to pungent black pepper and biting ginger, already produced spicy foods. This powerful red plant would do quite well in India. In the years that followed, New World goods and foods were funneled through Portuguese shipping routes. And the Portuguese empire grew — Brazil, islands of East Asia, Africa, the Middle East, and India — forts, factories and naval outposts dotted its coastlines, where trade between colonies thrived. In addition, the sea lanes to Melacca and Indonesia included Chinese, Gujarati, and Arabic traders, who were able to add New World crops to their existing trade bounties. Another route of trade started at Diu, which juts out of the west coast of India. Diu fell after the Sultan of Gujarat formed an unhappy and ultimately unsuccessful defensive alliance with the Portuguese in the 16th century. The city’s location made it an important port on the trade routes of the Arabian sea. In the case of our chilies, they went from Diu and Surat on the Gulf of Cambray, inland toward the Ganges, up the Brahmaputra River, and across the Himalayas to Sichuan. Anyone who has sobbed into a plate of Sichuan food knows how important they are to that region of China. I could go on, but don’t worry I won’t. The point is simply that the incredibly breadth of the Portuguese empire is directly responsible for the incredibly rapid dispersion of chili peppers around the world. But for North America the chili peppers came up through Mexico, right? It seems that this is not necessarily the case. I assumed the same, that chilies simply came up the relatively reasonable distance from Mexico to the United States. There are some articles that state as much. But the predominant theory from the books I’ve read (see the further reading section below) is that the chili pepper became widespread in the United States during the slave trade, despite being used by Native Americans for cooking prior. In Chilies to Chocolate, Jean Andrews notes that chili peppers “were to be found nowhere north of modern-day Mexico until after colonization by Northern Europeans.” Around 1600, Dutch and British empires broke the naval hegemony established by the Portuguese, and the market was flooded with more goods. Despite this change, the chili did not take root in North America until the plantation system and African slavery were instituted. Slaves from both the West Indies and West Africa already cooked using chilies, and they grew easily in the Southern United States. There is a term I learned about in high school called “The Columbian Exchange.” This refers to the exchange of diseases, ideas, food crops, and populations between the New World and the Old World following the voyage to the Americas by Christopher Columbus in 1492. Chilies are one example, but so are many others — coffee in Colombia, tomatoes in Italy, potatoes in Ireland, and the many domesticated animals and infectious diseases that followed. The chili has undergone a series of Columbian Exchanges as the naval and trade routes changed and cuisines adapted in their wake. From from Central America and the Caribbean to Spain, from Brazil to West Africa and India, and back again to North America via the slave trade, the circuitous popularity of the chili pepper seemed to me worthy of its own post. After all, it has truly spread to much of the world as we know it. And if the Chile Pepper Institute in New Mexico has their way: space may be next! Post-article update: My friend Tyler reached out to Mark Miller, who is one of the foremost chili experts in this world. I had wanted to know about which of the theories for North America was correct, if any. His response was essentially that there were wild chilies growing in Texas and the more arid Southwest, and that they were used in Native American cooking. So the plant was known by the Native American Indians and thus there was no specific need for a more domesticated variety. In addition, he adds that botanical trade routes from Mesoamerica to the North American civilizations are well documented for all the important varieties of subsistence crops, corn (400 varieties in North American from Baja to Maine), beans and squash — which all have their indigenous base in the Southern Valleys of Mexico where capsicum chiles were grown. He notes, “your link seems correct as far as large scale of domesticated chilies in North America”, but he added that European explorers were poor botanists, and it is likely that Native Indians ate chilies despite their records only referring to corn. Chasing Chiles: Hot Spots along the Pepper Trail (this is about climate change as seen through the lens of the chili (or chile, I can’t even at this point) pepper. Because it’s gorgeous: Chiles of the World, by Mark Miller. And my own poster: a food map of Mexico! ** According to the far-too-long amount of time I spent reading about spelling of chilis, American English is usually chili but can be chile, and UK English is always chilli. 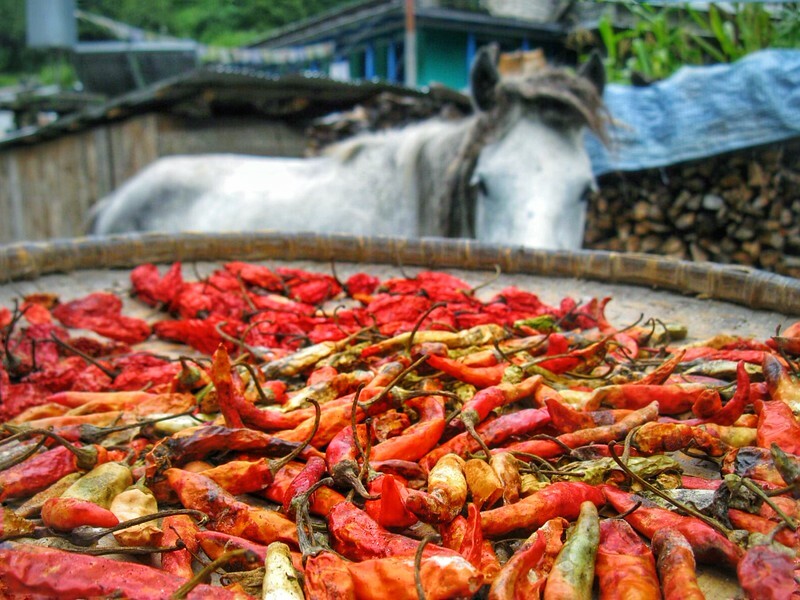 And finally, a big thanks to my brother for the photo of a horse warily eyeing chili peppers, taken from his travels to Nepal. I hope everyone is having a wonderful holiday season so far! I haven’t yet spent time in Korea as it’s not the easiest place for a celiac to travel so it’s not been my focus. The sauces often contain wheat products, do the marinades. Some great sweet potato noodles though, if 100% yam and not wheat. One day! Very true about Korea not being Celiac friendly. I just met a women here in Korea who has CD and ends up eating mostly rice, veggies, and raw fish. Some restaurants who know of her “allergy” are really nice and accommodating by altering the recipe for her. However, if you are very sensitive to contamination….it wouldn’t be fun. Great piece – very interesting! Super interesting piece, Jodi. I was secretly hoping for a *Red Hot* Chili Peppers historical post from you… you got it in ya? 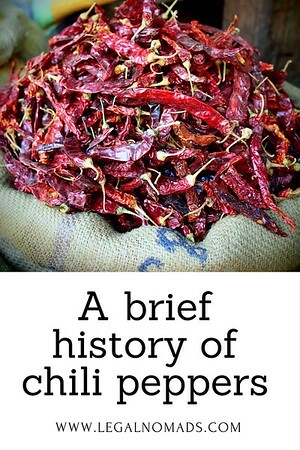 I’d never even really thought about the history of chili peppers before (or any food item, really). I would have never thought it has such a deep history! Jodi, this kind of food history fascinates me to no end. It makes me wonder what Europeans and Southeast Asians ate before chilli, chocolate, tomatoes, potatoes, avocado, pineapple, corn and peanuts were introduced from the Americas. I can’t imagine Italian food without tomatoes, or Indonesian cuisine minus the peanuts and chilli. And I once read that the English were once so wary of potatoes that they started off by eating the leaves. This post is especially topical as I am finishing up a six-month trip retracing the spice route between Goa and the Moluccas. I am no expert, but it has been a real eye-opener to find shared spices in local recipes along the way. Cumin, turmeric and coriander seed were introduced from the Indian subcontinent to Indonesia, but cardamom, curry leaves and mustard seed never caught on in Indonesian cooking. The exchange went the other way too – while in India I found whole cloves in biryani and pulao rice, and I eventually realised that nutmeg, mace and cloves were essential ingredients in garam masala. Does Jean Andrews consider New Mexico, Arizona, and other parts of the modern US Southwest to be part of Mexico, then? Chiles came north with the thousands of indigenous Central Mexican auxiliaries accompanying Vasquez de Coronado, Onate, and other 16th-century conquistadors and were almost immediately adopted into local cuisines: chile cultivars are well-documented as major crops from the early 17th century onward. On the other hand, African slavery had very little influence in the Southwest, and that only after the US takeover in the 1840s. The trade in African slaves seems like a very likely route for chile to enter cuisines in the eastern US, but its history in the west and southwest is different and indeed the result of direct diffusion and exchange from Mexico. Hi Phil, thank you for your note. Your thoughts echo Mark Miller’s feedback, which I have included in the post in an update. To both of your points, the reading I had read suggests that widespread use was a byproduct of the slave trade, while chiles were used in Native American foods and grown locally within parts of the Southwest. The quote from Andrews’ book was direct, but she is one of the most well-known experts on peppers and did go to University of Texas, so I assume she is familiar with the area :) I have updated the post with additional notes, so thank you for your long comment. Hi Jody, thanks for the reply. I’m an archaeologist in New Mexico and interestingly (and somewhat surprisingly), archaeobotanical evidence for chiles doesn’t show up here until after the arrival of expeditions from central Mexico. To my knowledge, wild chiles like the Sonoran chiltepin haven’t yet been documented in pre-conquest New Mexico either. I think many of us find it likely that chile was here before the Spanish, and simply hasn’t been documented yet. But such is the nature of the archaeological record. Thank you Phil! Really appreciate you weighing in. I’m going to go back to Andrews’ books as she is quite the scholar in that topic so I doubt that she’d have made a mistake there. Both you and Mark agree that there is just little record of documenting chili (chile, chilli – I’m giving up here as an Anglophone Canadian since all spellings seem wrong at this point ;) ) use prior to the Spanish arrival. Thank you for the articles, I look forward to reading them. What an interesting post Jodi! I did at first think you were going to write about the band….! Anyway, I too thought that chilli peppers (I’m British!) came to the US via Mexico so it’s interesting to read that not all is quite what it seems. What with the history of potatoes, tomatoes and chilli in chocolate. Umm! I don’t like chocolate! Have a great time in Meeeeeexicooooo! I’m a long time reader and just saw this article linked to in the NYTimes “What We’re Reading” newsletter. So cool! Whoa! I didn’t know. Thanks so much for telling me :) And thank you for reading! I just spent a month in Mexico – you’re going to die over the food! I grew up in Texas and thought I knew Mexican food, but I discovered new delightful dishes at every turn. And Oaxaca is fantastic because the folks there specialize in cheese (oh God the cheese), chocolate and mezcal. Those three things alone made it my favorite place in Mexico! Enjoy your time there! Thank you Lindsay! Something tells me I might not fit in my clothes upon my return ;) Glad you enjoyed it! Very interesting. Thank you. I’ll be looking forward to your posts from Oaxaca. In addition you’ve got me wondering…If chilis come from Mesoamerica, where do Chile Dogs come from? Happy Holidays! I read your article with interest as I am from Mexico and (I think) I know enough about chiles and its varieties. It is a must that you spent time in Mexico, not only Oaxaca, but Chiapas, Veracruz, Jalisco, Guerrero, Michoacan and Yucatan. Every State (there are 32) has various typical dishes with a variety of chiles. One observation: in the map of food from Mexico, the author must not include ANTICUCHOS…those are original from Peru and are not known with that name in Mexico. Hi Gloria, thank you for the comment. 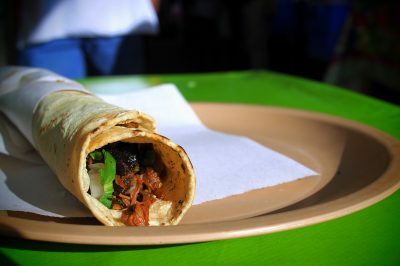 I will start with Oaxaca but I definitely hope to explore the country in further detail as there is so much to see. I was the one who made the food map and the people I sent the map to for review were from Mexico and did not mention so I appreciate that correction. Coming form Goa, I’m always on the lookout for spicy food, and Chilies are an integral part. I completely agree that the Portuguese are responsible for the amazing array of dishes (and curries) that are part of Goan cuisine, which are red but not necessarily spicy. I currently reside in UK and I somehow wish the British would have taken some variety back here when they left…all I can find here are dried really pungent red ones! Doesn’t do justice to the recipes! Jodi, this was truly an awesome read and it sounds like a fair amount of research went into it too! 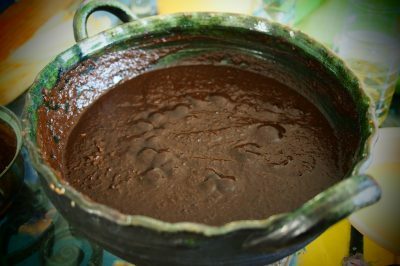 I’m embarking on a bit of study into the history and cultural background of latin American cuisine and was thrilled to find your blog! Keep up the excellent writing, your blog is a treasure! Look forward to learning more about Mexico- lord knows that’s one country with a unique and delicious food history, I can see why you chose it!! Thank you Jodi, what an informative read about my favourite ingredient :)I’m puzzled by one question though. I read in a few sources that chilli peppers were brought to India by the Portuguese – however, in Ayurvedic texts, which were complied much before the Europeans set their foot in India, chilli peppers hold a prominent place. Or am I missing something? Hi Anastasia, from what I’ve read the references to chili in ancient text are actually referring to black pepper and copious uses of it. From what I recall from the books I read, I believe even the words for chili peppers vs black pepper are quite similar in different Indian dialects. Could it be that the references are to peppers but use of black pepper instead? This was the explanation I read, though I am now going to dig it up because you’ve got me wondering. All the books I have read do refer back to Central America/Mexico as birthplace of chili peppers without reference to a co-existing crop in India/the Subcontinent. Hi Jodi , pretty intresting insight into the chiles world ,i belive we have come a long way in chiles History and development but still a lot to be discovered , here in central Sonora Mexico we have The Wild Chiltepin Conservation and Protection Project (WCCPP) our major concern at this project for now is the protection of 2¨new¨ wild chiltepin variants that grow wild down here and are in a real danger of disapearing due to the few in situ especimens of these populations( one of them has only 19 adult plants) . besides beeing a wild chiltepin land the Sonora State has a rich and flavorful cuisine and many intresting places to visit , if you ever wish to come and visit us we will be more than glad to be your guests , Saludos . Thank you for the comment Virgilio! your blog is wonderful, congrats! i really loved this article, i am Portuguese and i loooved the fact that you nailed our historical and cultural contexts! amazing job! 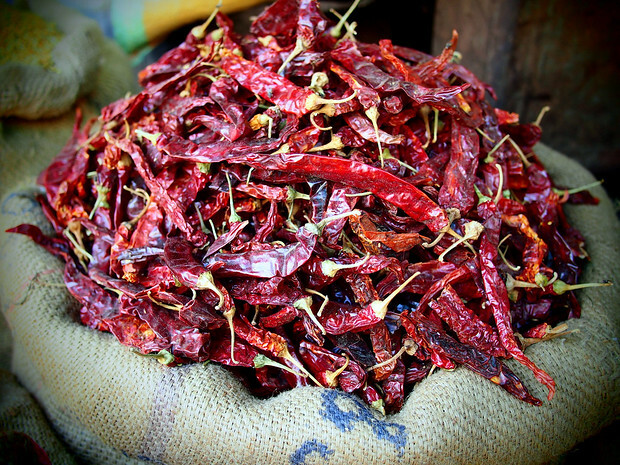 Do you know the variety of chili peppers most commonly used in Nepal? Could it be Serrano? If a recipe calls for cayenne pepper for its health benefits, could i use Nepali chili pepper powder to achieve the same or similar health benefits/taste?